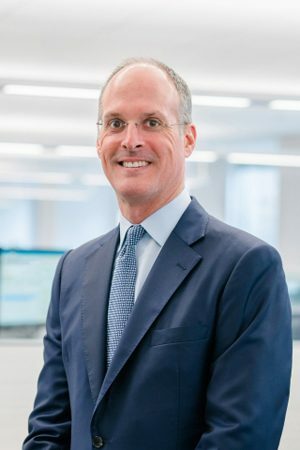 Craig Smith Named CIO of PPM America, Inc.
March 25, 2019 — CHICAGO–(BUSINESS WIRE)–PPM America, Inc. (PPM) today announced that Craig Smith, executive vice president and Chief Investment Officer, Jackson General Account has been appointed sole Chief Investment Officer for the firm effective March 21, 2019. He will be responsible for overseeing the fixed income, public equity, and commercial real estate teams. Craig joined PPM in 2006 and has 24 years of investment experience. He has been serving in a co-CIO capacity at PPM since October 2015, in addition to co-managing the firm’s research and trading functions. Prior to joining PPM, Craig was a vice president and senior portfolio manager at Loomis Sayles & Co. where he managed core and core plus bond portfolios for institutional clients. Craig earned an MBA and a bachelor’s degree in mechanical engineering from Cornell University. Additionally, he is a CFA® charterholder. “We are excited to have someone of Craig’s caliber in the seat and are confident in his expertise and ability to succeed in his newly expanded role. Having worked for PPM for 13 years, Craig understands the fabric of our culture and our collaborative, team-based values,” said Mark Mandich, Chief Executive Officer. As part of this change, Tony Balestrieri, Chief Investment Officer, Total Return and Nelson Zamora, Chief Risk Officer are no longer with the firm. The eight-person risk management and quantitative research team will report to Mark Mandich. PPM is grateful for the contributions Tony and Nelson have made to the firm over their tenure and wishes them well in their future endeavors. Founded in 1990, PPM America (PPM) is a client-focused investment manager with more than $119.27 billion in assets as of February 28, 2019, including $9.29 billion managed by PPM Finance Inc., an affiliate that manages commercial mortgage loans and certain real estate investments. As part of one of the world’s leading financial organizations, PPM has the expertise, global reach and substantial resources to provide our clients with investment solutions across markets, including public fixed income, public equity, private equity, and private debt. However, like a smaller shop, PPM remains nimble, investment-led and responsive to the opportunities that teams discover together. PPM’s mission is to deliver specific client solutions and service to investors around the world with the goal of meeting investors’ unique investment objectives. In addition, PPM employees are committed to building their community and supporting local nonprofits that strengthen families and increase economic opportunities. For more information about PPM, please visit PPM America’s website at: www.ppmamerica.com. PPM is an indirect subsidiary of Prudential plc (“UK Parent”), a company incorporated in England and Wales. The UK Parent and its affiliated companies constitute one of the world’s leading financial services groups providing insurance and financial services through its subsidiaries and affiliates throughout the world. It has been in existence for more than 170 years and has $837.1 billion in assets under management (as of December 31, 2018). The UK Parent is not affiliated in any manner with Prudential Financial, Inc., a company whose principal place of business is in the United States of America.